The JUpiter ICy moons Explorer (JUICE) will perform detailed investigations of Jupiter and its system in all their inter-relations and complexity with particular emphasis on Ganymede as a planetary body and potential habitat. Investigations of Europa and Callisto would complete a comparative picture of the Galilean moons. 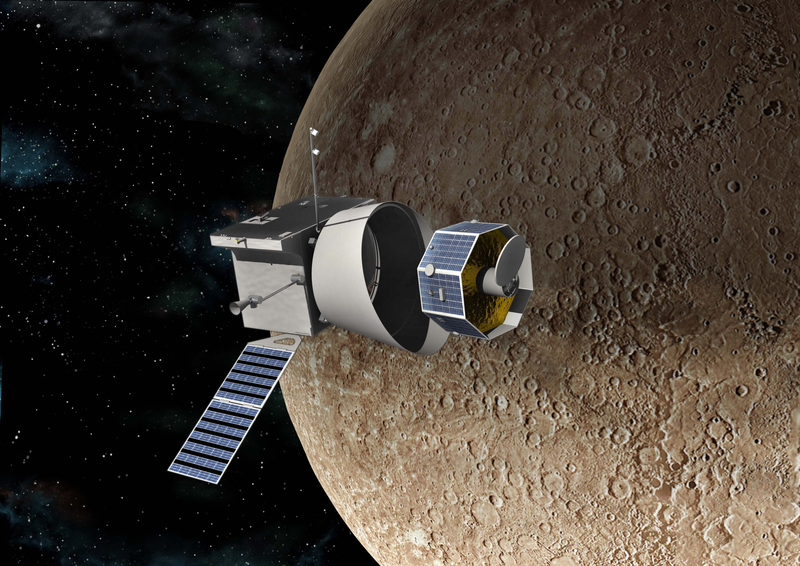 The focus of JUICE is to characterise the conditions that may have led to the emergence of habitable environments among the Jovian icy satellites, with special emphasis on the three ocean-bearing worlds, Ganymede, Europa, and Callisto. Ganymede is identified for detailed investigation since it provides a natural laboratory for analysis of the nature, evolution and potential habitability of icy worlds in general, but also because of the role it plays within the system of Galilean satellites, and its unique magnetic and plasma interactions with the surrounding Jovian environment. 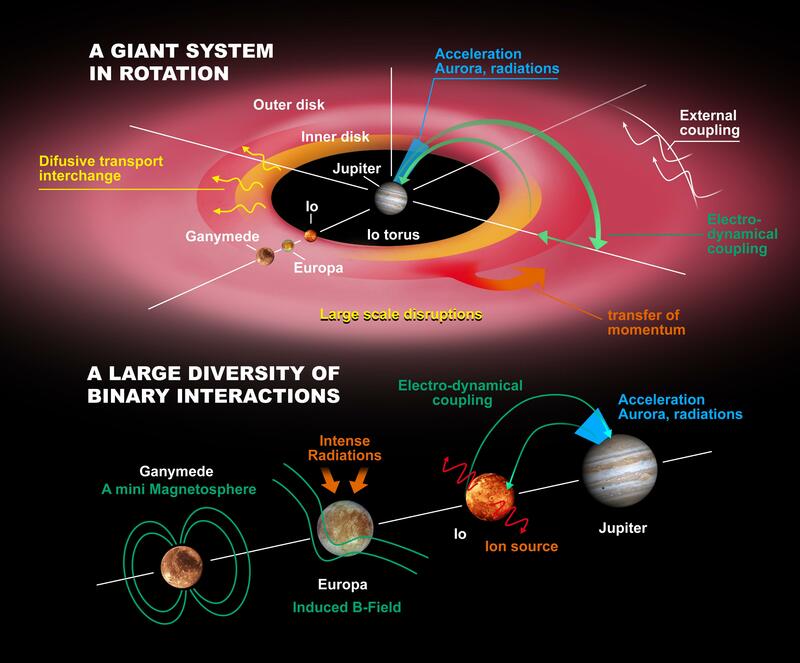 Electrodynamic interactions play a variety of roles in the Jovian system: generation of plasma at the Io torus, magnetosphere / satellite interactions, dynamics of a giant plasma disc coupled to Jupiter's rotation by the auroral current system, generation of Jupiter's intense radiation belts. JUICE will carry 11 experiments developed by scientific teams from 15 European countries, the United States and Japan. The solar-powered spacecraft will carry cameras and spectrometers, a laser altimeter and an ice-penetrating radar instrument. The mission also will carry a magnetometer, plasma and particle monitors, and radio science hardware. Planned for launch in 2022 and arrival at Jupiter in 2030. 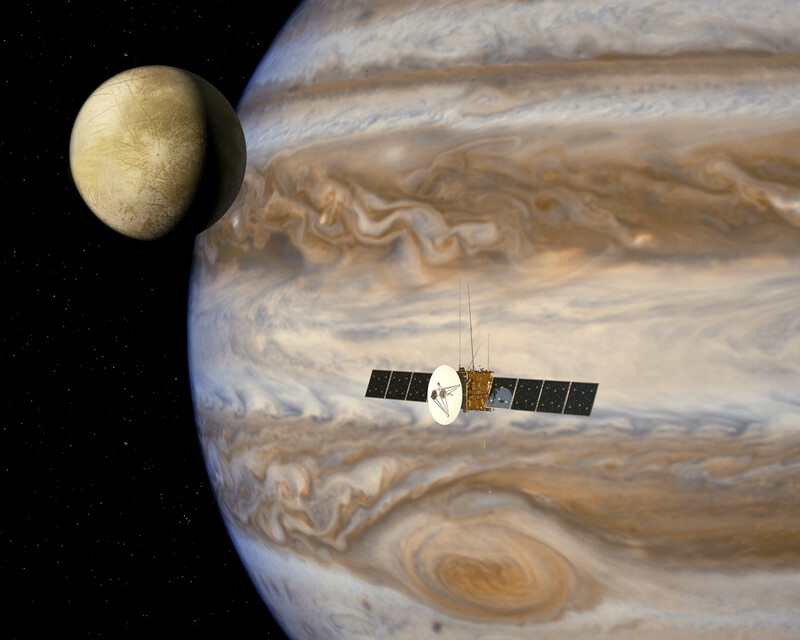 It will spend at least three years making detailed observations of the giant gaseous planet Jupiter and three of its largest moons, Ganymede, Callisto and Europa. A remote sensing package includes imaging (JANUS) and spectral-imaging capabilities from the ultraviolet to the sub-millimetre wavelengths (MAJIS, UVS, SWI). A geophysical package consists of a laser altimeter (GALA) and a radar sounder (RIME) for exploring the surface and subsurface of the moons, and a radio science experiment (3GM) to probe the atmospheres of Jupiter and its satellites and to perform measurements of the gravity fields. An in situ package comprises a powerful package to study the particle environment (PEP), a magnetometer (J-MAG) and a radio and plasma wave instrument (RPWI), including electric fields sensors and a Langmuir probe. An experiment (PRIDE) using ground-based very-long-baseline interferometry will provide precise determination of the spacecraft position and velocity. The SGF Co. Ltd. together with Wigner RCP are participating in the development of the PEP instrument lead by Swedish Institute of Space Physics (IRF) Kiruna and in the development of the J-MAG instruments lead by Imperial College London. The SGF Co. Ltd. is developing the Electrical Ground Support Equipment for both PEP and J-MAG instruments.